Over 3000 copies sold. The much loved first book of the New Humans of Australia series. 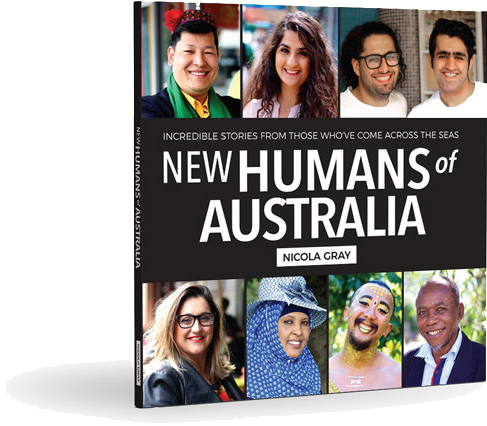 Containing a range of fascinating migrant stories, the book is heartwarming and inspirational, and reminds us of just how lucky we are to be living in Australia. Shipping times: We ship with Australia Post from Annandale, Sydney. Please refer to the Auspost website for shipping times to your location. All orders are shipped NEXT BUSINESS DAY.